Announced back at WWDC 2017, Amazon’s Prime Video app for Apple TV 4 is now rolling out. Surprisingly, the app is available for the now-discontinued Apple TV 3 as well. Amazon Prime Video Finally Arrives on Apple TV After Months of Waiting. Apple’s WWDC 2017 was a packed event. Not only we were treated to brand new iPad Pros and the Apple TV 4K, a revelation was made on stage that the Amazon Prime Video app will make its way to the Apple TV as well. Today, the day has finally come as the aforementioned software is available for all Apple TV 4 users as well as those with an Apple TV 3. Yes, the latter is a discontinued model from Cupertino, yet you will be able to get a taste of it if you have a piece lying around. On the Apple TV 4K, the party gets really hot as the app fully supports 4K UHD playback as well as HDR. Of course, this means that you should have a 4K + HDR television at home in order to take full advantage of it. But I’m assuming you already do. If you wish to download the app right now, simply head over to the App Store in tvOS and do a search for Amazon Prime Video. But of course, you will require a Prime membership if you are going to consume all the TV shows and movies available on it. But I’m certain you already know about that too, don’t you? 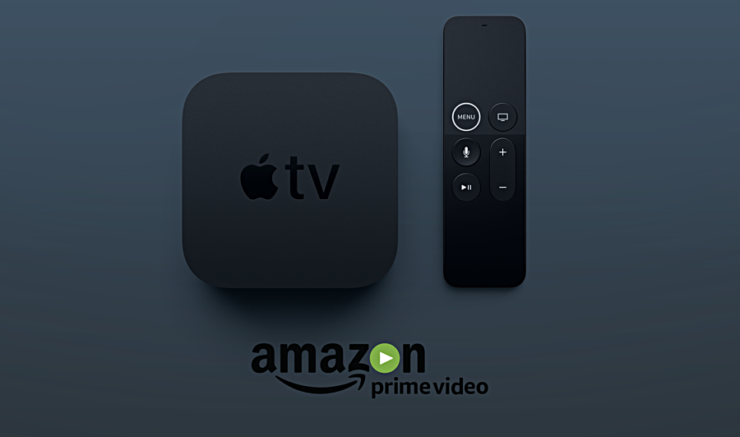 With Amazon Prime Video now available on the Apple TV, it remains to be seen whether or not the retail giant will start selling Cupertino’s set-top box on its website. In case you didn’t know – Amazon stopped selling the Apple TV on its website mainly due to the fact that it had no presence of Amazon Prime Video at all on Apple’s TV platform. Therefore the retail giant did not want to disappoint customers by selling a product that doesn’t support Amazon’s key service. Now that it has all changed today, let’s see how things are going to pan out between Apple and Amazon.